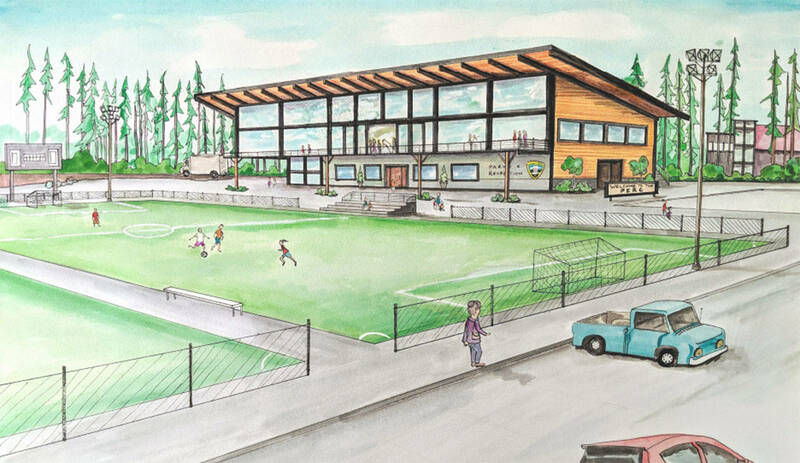 A conceptual rendering of the Poulsbo Event and Recreation Center shows the large event space and athletic fields. City officials estimate the cost of the facility at $40 million. 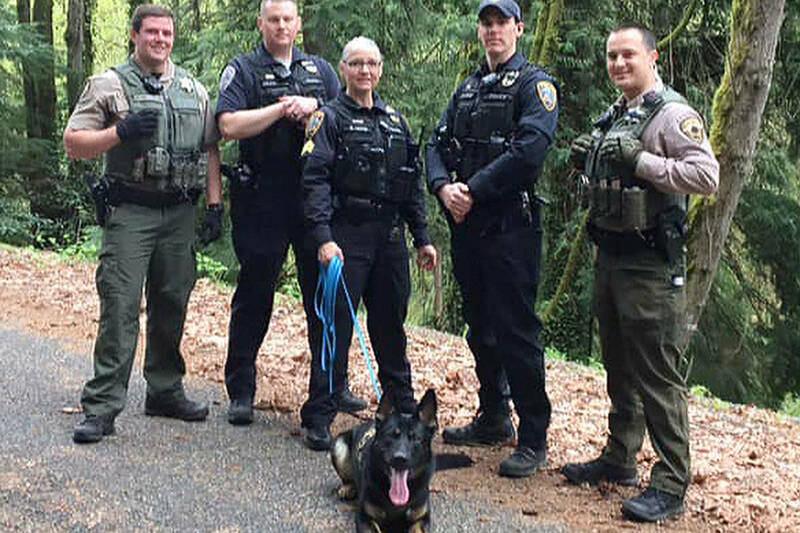 Photo courtesy City of Poulsbo. On Wednesday the Poulsbo City Council received a presentation on a project that is seeking to build a destination recreation and event center in the heart of College Marketplace. In previous council meetings Poulsbo Mayor Becky Erickson has suggested that the Poulsbo Event and Recreation Center could be Poulsbo’s version of the YMCA. The facility would include athletic fields, event space and the mayor also hinted at the possibility of siting a new pool at the location. Given the building’s proximity to the forthcoming Fairfield Inn & Suites, Erickson said the PERC could also prove a significant draw for visitors coming from afar to attend specific events hosted at the center. But a jewel such as the PERC is not without a hefty price tag. The whole project is estimated to require $40 million; $20 million paid for by matching funds from the City of Poulsbo. The rest of the funding — if all goes according to plan — would be funded by the Kitsap Public Facilities District. Erickson said a multi-phased approach would be necessary to tackle the mammoth task of funding the project. According to Karla Boughton, the City of Poulsbo’s director of planning and economic development, KPFD will be deliberating which projects to fund next week. Additionally Boughton outlined a number of ways that the city could work to pay its share of the $20 million. “Our match would come from voted bonds, residual land, sale of our current recreational facility, legislative earmarks, grants, certainly a robust capital campaign and sponsorship and naming rights,” Boughton said at Wednesday’s meeting. Erickson was sure to emphasize one of the funding sources mentioned by Boughton. “The first part of the funding is really about asking the people, ‘Do you want this? Is this what you want?’ and making sure that we have real secure public buy-off on it,” she explained. According to Mary McCluskey, director of Poulsbo Parks & Recreation, the building currently housing the department is close to a century old. Constructed in 1930, the Union High School building became North Kitsap High School in the 1950’s and eventually became a middle school before sitting empty for years in the 1970’s, McCluskey said. “A good and faithful building, but it’s time to move,” remarked Erickson.